Simone St. James’ sixth stand-alone novel mixes a creepy supernatural tale, complete with ghosts and things that go bump in the night, with a gripping mystery. 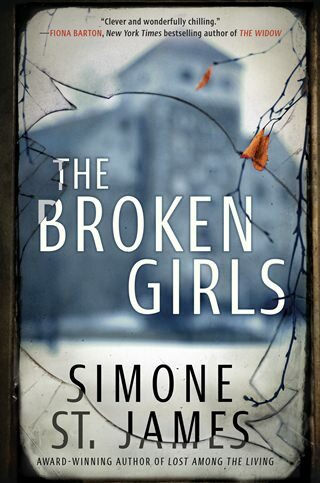 “The Broken Girls” also works well as a story about unshakeable friendship, parenting issues, obsession and sexism folded into a satisfying plot that straddles two eras of time. The broken girls are those who end up in Idlewild Hall, “the boarding school of last resort, where parents stashed their embarrassments, their failures, and their recalcitrant girls.” Four of the girls who are roommates at Idlewild in 1950 — Katie, CeCe, Roberta and Sonia — refuse to be broken by the school’s strict rules and the abandonment of their families. Located in “the backwoods of Vermont,” the castlelike fortress is rumored to be haunted by the ghost of Mary Hand, a young woman who once lived there. In 2014, the now shuttered Idlewild haunts Vermont journalist Fiona Sheridan, whose sister’s body was found on the school’s grounds 20 years ago. Deb Sheridan’s boyfriend was convicted and he is still in prison for her murder. But Fiona is obsessed with the murder and believes the truth didn’t come out in court. When a family with no local ties buys Idlewild, Fiona seizes on the chance to do a story on the school — and further investigate her sister’s murder. The story intensifies when the remains of another girl are found buried on the grounds. “The Broken Girls” smoothly alternates between the two eras, capturing the idiosyncrasies of each. Fear and distrust permeate the scenes of the 1950s, while Fiona’s terrors come from within her. The roommates’ bonds and strength serve these naive teens well, while Fiona’s support system is lacking.